How Fast Can You Develop My Product? Digicorp/ Blog/ MVP Development/ How Fast Can You Develop My Product? We come across this question many times. Most of the times, once you have an idea, the natural progression is to develop the product as quickly as possible. Surprisingly in many cases, you will not need any product to do an initial validation of your idea. Assuming that you are at a stage where initial validations show positive signs and the next obvious step is to develop a product. Again, a working product will help you in further learning more about your customers’ problems and validate your assumptions via getting real feedback. Iteration in product development has an important role to play after the ideation phase gets over. If your feedback cycle is quicker than you can tweak your product faster than anyone else to make sure that your customers use the product that they actually need. Product Development is a step-by-step process to build a product or service that solves a problem for customers and meet market demand. Focus on the lean startup methodology while developing a product; Build, Measure, and Learn. The first step of a product development is to find out a problem for your potential customers and then start building a Minimum Viable Product (MVP) to resolve the problem. Then the learning, a continuous process, will start immediately by building the features of the product. After the establishment of MVP, the measuring will take place along with learning through the feedback and metrics of the MVP. The development process includes idea screening, idea testing, developing, commercializing, and product launching. 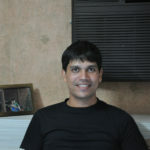 It is extremely difficult to get the product right in first shot if you are not the end user. So the key to success is quick iterations in the right direction. This is the key to execution. This is what Lean Methodology tells us to do. If you try building a product with all features quickly and do not validate consistently, there are 2 major pitfalls. Building features which no one uses. Building features that do not work properly. This all leads to waste. So what is quick at the end of the day. Quick according to us means a product development process that helps me reach to my customers faster and validate my assumptions. “Get out of the building”. Let us look at how fast twitter was developed. Often many companies claim Faster Product Development, But …. How “Fast” can you build a product? Solely focusing on a faster Product Development, sometimes end up with half working product or a fully developed product with no real market or relatively small market. Hurrying in the product development process can cost you to lose your product value & time. How Does Digicorp Develop a Product? At Digicorp, we believe that Faster Product Development starts with an MVP, designing your product with just enough features to validate your assumptions and proactively go to market faster. It’s not about to complete the product development in less time. It’s a learning & continuous validation to build a successful product. By applying agile methodology you can develop your product in an organized & structured way. A step-by-step validation of your assumptions provides a better learning to develop a product that your customers actually need. Validation of your assumptions is the key to build the right product for your users. 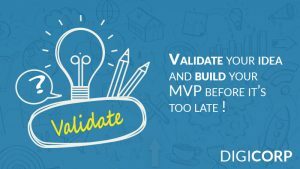 The learnings from validation will provide the needed velocity for your product’s development. It is better to obtain a working product which has minimum features to run your business instead of a product that has a lot of unnecessary and unusable features. Think about a moderate but gradual growth for your business for a longer run. Build your brand value from the beginning and focus on acquiring a faster functionality (MVP) not the unviable accomplishment. Faster product development is a continuous delivery through feature validation that also aids building traction from the beginning. Gradually adding more features to your product by obtaining your customers’ feedback will help in applying changes in product development and deliver a better user experience. Moreover, with the feedback-driven product development, your business will get a great referral for your product. The ultimate goal for any startups is to establish their strong positioning in the market with a viable product. Before going on the development spree, answer these two questions & you will have a clear roadmap for your product. Should I go for a faster product development? Or Do I need to build a product based on feedback? So our answer is, yes, we will help you develop the first version of your product (MVP) fast. The idea to solve the most critical pain area, validate the most important assumptions in the business plan and building a product with minimum features which helps us achieve above both.